The Independent Chief Inspector of Borders and Immigration (ICIBI) is calling for evidence in an evaluation of the Right to Rent scheme. The process has already invited stakeholders who took part in the Home Office Landlords Consultative Panel to contribute and ARLA Propertymark is submitting evidence as part of this. 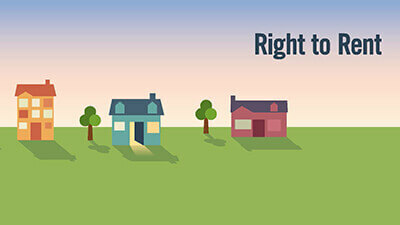 Planning for the initial introduction of Right to Rent. Rollout of Phase 1 (in Birmingham, Walsall, Sandwell, Dudley and Wolverhampton) and how this informed the development of the scheme. Evaluation of Right to Rent sanctions. Issuing of civil penalties, criminal prosecutions and removals measures by Home Office enforcement and casework teams. In ARLA Propertymark’s response we are highlighting key issues with the scheme including whether the scheme is achieving it’s core aims in relation to rogue landlords and illegal tenants, alongside the time and resources that professional agents have to use to complete checks within the context of an impending ban on letting agent fees. We are highlighting issues that need to be addressed in order to ensure that the scheme does not fail to meet its objectives including the quality of example identification shown in the user guidance and the robustness of some forms of accepted identification specified in List A, Group 2. ICIBI need to understand that the limited scope of the helpline is an issue as it does not meet the needs of agents and landlords who are frequently looking for advice on spotting forgeries and deciding whether individual items of identification correspond to generic items on the list ie ‘other travel documents endorsed to show that the holder is allowed to stay in the UK’. Where agents have had to use the Landlord Checking service for tenants without documentation, we are pleased that checks are being carried out quickly but have raised issues with the quality of the documentation received. In our response we are highlighting the ineffectiveness of legislation which fails to be supported by appropriate levels of enforcement. Many members are simply sceptical of the impact on rogue landlords delivering substandard accommodation because of a fundamental lack of enforcement activity.